Whether you call it "fate" or "destiny" or "a calling," the fact is that some people are born to sing and create music. If you ask any of the "legends" in the music business, chances are you'll get a variation on the idea that music is and always has been the artist's most natural expression. The industry's latest "legend" -- John Legend, actually -- reveals that from the age of five or six, he expected to be 'discovered.' "I used to watch Michael Jackson on television and I figured I could do what he was doing." 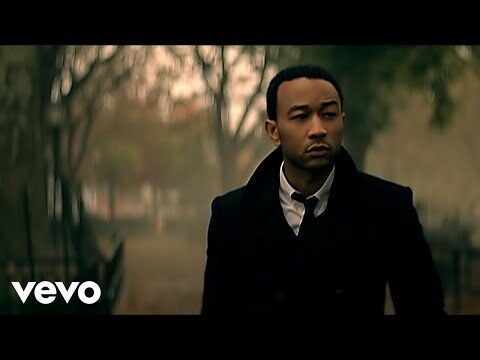 Music has been the central theme in the life of John Legend (born John Stephens) for as long as he can remember and now, some twenty-odd years later, this multi-talented singer, songwriter, musician, arranger and producer is fulfilling his childhood dreams and ambitions. With Get Lifted, his major label debut album on Columbia Records, Legend demonstrates a rare ability to fuse the "feel" and vibe of classic old school soul music with the edgy flavor of 21st century hip-hop. While the romantic themes of traditional R&B permeate John's Get Lifted, there's alsoa street-worthy hipness and confidence: the sensuality of Marvin Gaye and the sincerity of Stevie Wonder merging with the directness of Snoop Dogg and the wit of Kanye West. 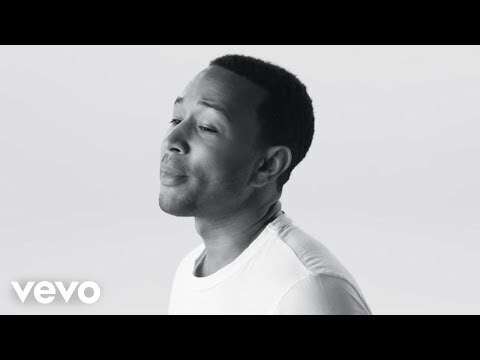 Yet, John Legend is very much his own artist, gifted with singular talents and a unique sensibility. Take "Ordinary People," one of the last tracks John worked on in the summer of 2004 for the album, which is executive produced by hitmaker Kanye West (who also co-wrote and produced several tracks on the record). Recorded with John's simple and plaintive piano accompaniment, the song is, according to its creator, "real, a composite of experiences. It's about love, not as a fantasy or fairytale, but as it really goes down between two people." 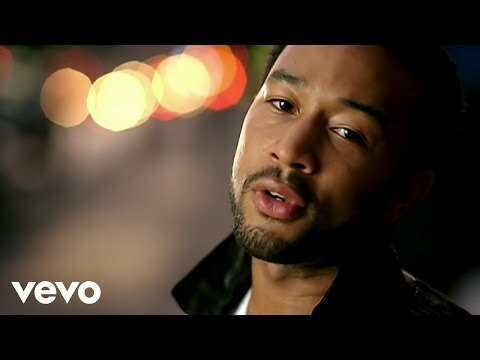 "Used To Love U," the infectious first single--co-written and produced by Kanye West-- has, according to John, "a bangin' hip-hop beat with a little Latin flavor, and a soulful melody and vocal arrangement; it's a cool mix and fusion of different musical influences. We had the Black Eyed Peas horns and guitar player on the track so you get a little of their flavor too." With production by West, longtime musical associates Dave Tozer and Devo Harris, and Will.I.Am of the Black Eyed Peas, Get Lifted runs the gamut from the celebratory "Live It Up"--which John describes as "a personal testimony about how hard work and paying dues really does pay off"--to the thought-provoking "Refuge (When It's Cold Outside)," a spiritually evocative ballad reminiscent of Lauryn Hill. Among the impressive credits John's amassed in the last few years (which includes session work with Alicia Keys, Janet Jackson, Talib Kweli, Jay-Z, Britney Spears, Eve, Common, the Black Eyed Peas and, of course, Kanye West), John is particularly proud of his work on "Everything Is Everything," a key cut on Hill's multi-platinum Grammy-winning The Miseducation of Lauryn Hill. "Through a friend of hers," says Legend, "I went to the studio when Lauryn was working on that record and I sang a couple of original songs for her and ended up playing piano on that song. I'm still very proud that that was the first major record I was on." 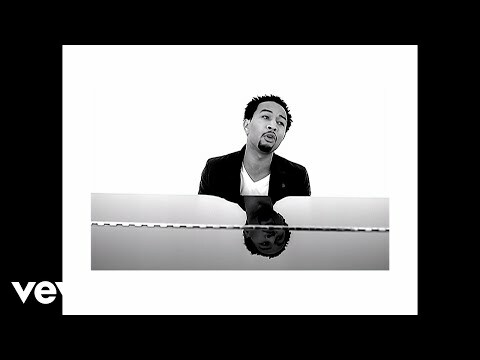 Counting Lauryn Hill and Stevie Wonder, Aretha Franklin, Curtis Mayfield, Al Green and The O'Jays among his primary influences (along with a slew of gospel artists like Edwin Hawkins, Shirley Caesar, Commissioned, John P. Kee and James Cleveland he heard during his formative years), John Legend has combined his inspirations into a stunning new sound all his own. You can hear it on tracks like "She Don't Have To Know" and "#1" (which features Kanye West), a pair of songs dealing with the age-old topic of infidelity. Of the latter, John says with a smile, "I guess you could say that's a 'guy' song. It's a bit tongue-in-cheek, basically saying, 'Hey, I know I cheated, but I'm a guy so what do you expect?' A lot of traditional R&B doesn't have that wit and swagger that you find in hip-hop, and that's what I wanted to include in my music." On the sexier tip, there's "Let's Get Lifted," a jaunty jeep-flavored cut and the sizzling "So High." 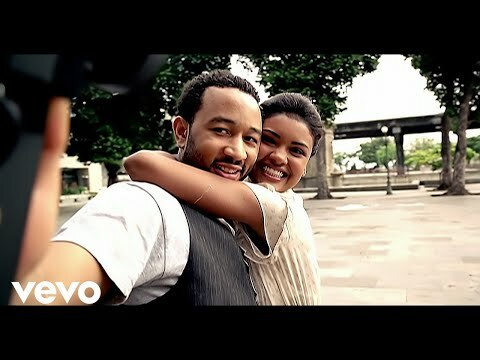 In contrast, John also references his move from Springfield, Ohio, to attend school in Philadelphia through "Johnny's Gotta Go" (produced by Dave Tozer) and his love for family with the soulful "It Don't Have To Change (The Family Song)," which John says includes "almost my entire family singing with me - my mom, my dad, my granny, my aunts and uncles and my siblings (two brothers and a sister). They're all on that track which has a doo-wop type of harmony arrangement." Family roots are important to John and he recalls growing up in a distinctly musical household: "There was a piano in the house and I learned to play and read music early on. By the time I was eight or nine, I was playing in the local church for the choir. My grandma taught me a lot of the gospel songs and between lessons in classical music and singing and playing in church, I really developed my 'ear.' I always loved the feeling when people responded to my singing and playing so I was already making little gospel records in high school. I was ambitious and just loved being onstage." While his early exposure was to gospel, John was tuning into the radio by the time he was in his early teens listening to the likes of Jodeci, Boyz II Men, LL Cool J and MC Hammer. With his obvious musical aptitude, John applied to various colleges for a scholarship and chose to go to the University of Pennsylvania, majoring in English. But between his studies and day jobs to keep money coming in, Legend spent practically every waking hour making music, recording CDs with his collegiate a cappella group, performing solo at talent shows and open mics, and directing the choir at a local church. Just months before starting work on Get Lifted, Legend finally ended a nine-year tenure as music and choir director at Bethel A.M.E. Church just outside Philly. Being in Philadelphia in the late-'90s allowed John exposure to some of the new artists --like Jill Scott and The Roots -- who were at the nucleus of the burgeoning "neo-soul" movement. Committed to his craft, John continued performing in and around Philly and by 2000, he had expanded his audience base by doing shows in New York, Boston, Atlanta, and Washington, DC. John frequently appeared on the same bill as such national R&B artists as Musiq, Jaheim, Amel Larrieux, Glenn Lewis and Floetry when they were performing in the region and began recording some of his live performances. Early CDs such as the 2000 release, John Stephens, and 2001's Live At Jimmy's Uptown generated sales at John's shows and on his website. Studio recordings -- often done with college friend Dave Tozer -- were made "with the intent of getting a record deal. I never really got frustrated because there were always little 'victories' plus the real people, the audiences, liked me. You have to have a lot of stamina to keep going." John's patience paid off: through his college roommate and collaborator Devo Harris, he met Kanye West (Harris's cousin), who was emerging as a hitmaking producer for acts like Jay-Z and Scarface and an artist in his own right (via the now best-selling album The College Dropout). "I first met Kanye after he came to see one of my shows," Legend recalls. "It took a while for us to start working together. The first time was when he had me come in to sing hooks on a couple of the songs that eventually made the College Dropout album. Then he gave me some beats to write to for my demo. After about an hour and a half of writing, I came back with a song called 'Do What I Gotta Do,' based on a beat that sampled Aretha's 'Til You Come Back To Me.' He played that first song for a bunch of people and they all loved it, so we started working together more and more." 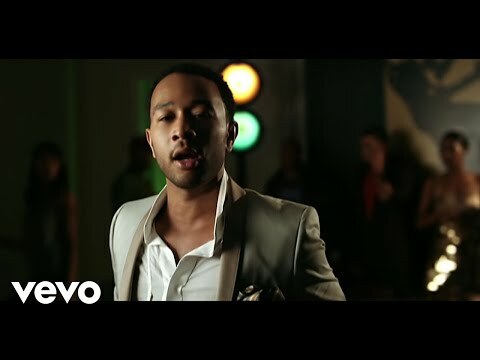 By late 2002, John had begun working with Kanye more often, playing piano, singing and co-writing two tracks on the College Book John Legend for shows and concerts at Heavy Rotation booking agency. Worldwide Bookings with HR Booking. John Legend Booking, Book John Legend. 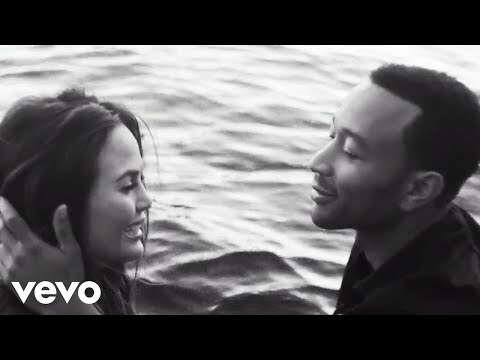 Book artists like John Legend, John Legend booking agent, contact John Legend email, John Legend manager, John Legend management for concerts, bookings, biography, pictures, videos. 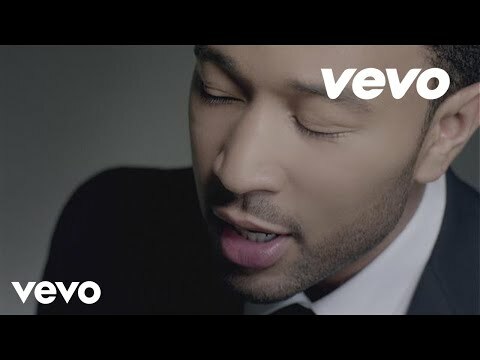 John Legend may be available for your club shows, private party, festivals or other events.